New version 4.0 of OS Book Library! personal library or public library. 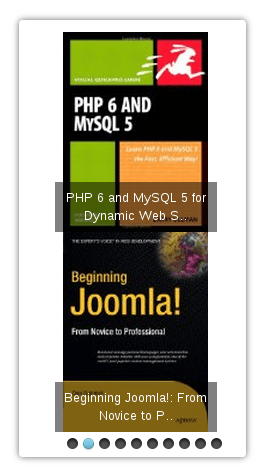 This Joomla eBook extension allows offering different formats of ebook for downloading (epub, mobi, fb2, rtf, txt). It can be used to set up and manage community libraries, university libraries and church libraries, private books collections, eBook catalogs, etc. 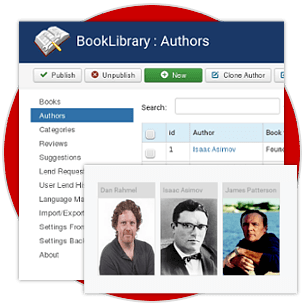 Book library is functional and easy Joomla solution for libraries management that allows manage books, authors, categories of books, reviews and suggestions with ease. Book Library for Joomla allows to administrate your book library website with ease. You can create multi categories and subcategories, add books from frontend and backend with details like title, author, book cover and more. Also Book Library Joomla extension enables uploading ebooks of different formats epub, mobi, fb2, rtf, txt, PDF files and other ebook formats. Inbuilt review system allows to add reviews (with ratings) from frontend and manage them via backend. 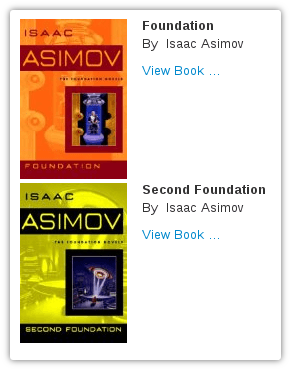 Book Library allows you to lend books from your online book catalog. 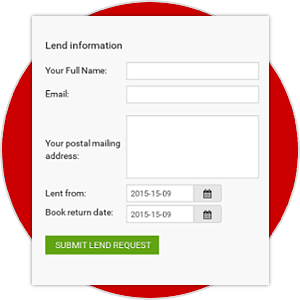 Administrator can manage lend requests by accepting or declining it through admin area. Also you can manage lend requests from frontend, without accessing backend area. Details of books (title, authors, covers, release information) in your online store can be easily fetched from Amazon using the ISBN (International Standard Book Number). With an Amazon Associates ID you can earn credits from book sales through Amazon, while Amazon takes care of the handling and shipping. 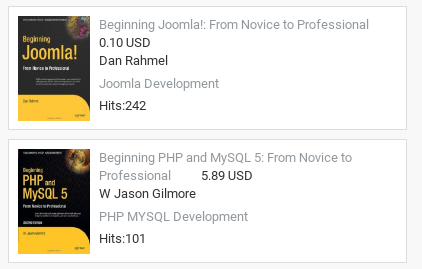 In Book Library Joomla extension you also can manage the Authors of books, e.g. fill in description of author, insert photo at backend. 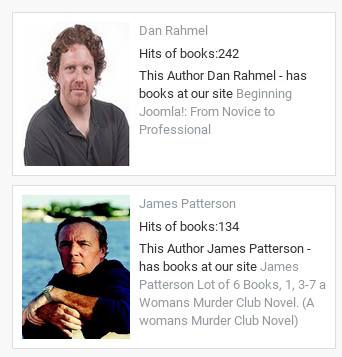 Books from your website written by Author will be automatically displayed at his profile page. Two layouts for displaying All Authors are available: default (with names and A–Z index) or photo layout (with names, photos of authors and A–Z index). It can improve search rankings of your online book collection or library website. 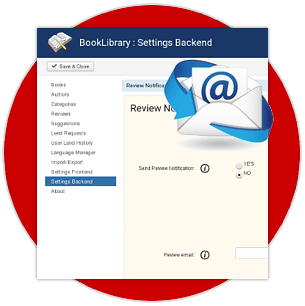 Book Library supports sending user and admin email notifications such as: new review, new lend request, new book added and others. You can manage in settings what notifications should be sent and with help of Language Manager you can change the text of emails. 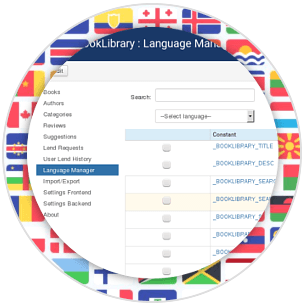 In Book Library Joomla Solution admin can change language variables using convenient tool for this - Language Manager. These variables are stored in one file, so it can be translated and other languages can be added. Thanks to community, Book Library is already translated on such languages: Dutch, French, German, Greek, Russian, Persian (Farsi), Portuguese, Italian, Spanish, Serbian. If you translated Book Library on your language, that isn't mentioned here, please contact us and share language file with others. Language pack is included in Book Library Pro and component will automatically pick up the main language of website. 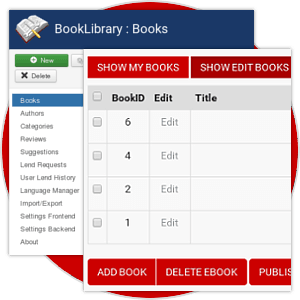 Book Library is not just library Joomla component, it also contains all needed modules and plugins for building fully functional online library website and manage it easily. 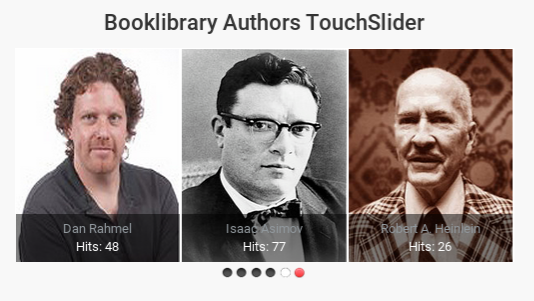 Joomla modules for Book Library includes: Featured Books, Features Authors, Cart, Search, From Same Author, Slideshow, Touch slider, Authors Touch Slider. 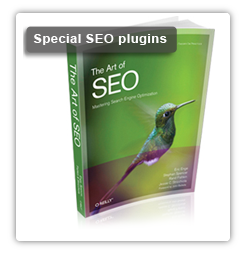 Plugins for Book Library includes: Search, Link in Content, Community Builder & Simple Membership (My books tab), SEO plugins (Xmap, SEF URLs and Meta Tags). Further information about these modules and plugins you can find on tab Modules and Plugins at the top of the page. 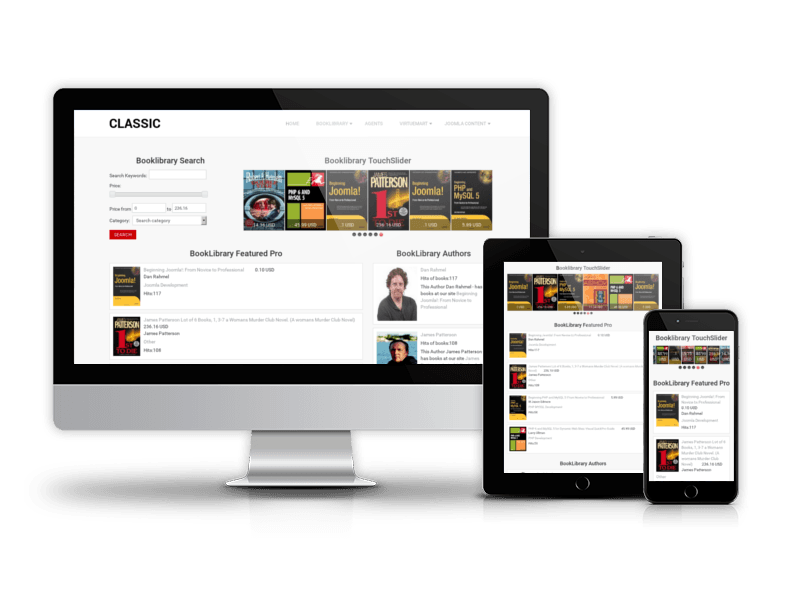 Also in Book Library Pro Package was included Quickstart of Classic Book Library template. Just in few minutes you will be able to install the same public library website like on demo. With more than 7 years of development, 60.000+ downloads and thousands of happy customers worldwide we are confident in the quality of our products. See what our clients say about Book Library Joomla Extensions. "Very important component for a library. I have tried a lot of solution but this one it's the best. Compliment for the excellent support by the authors"
"After much searching the Ordasoft Book Library Pro component along with supporting modules is exactly what I needed and is money well spent. The support is first class and response time very quick. I had a few minor teething problems due to my Joomla settings and they were sorted out very quickly. Thank you for a great component." "I'm using this for a digital library and its great and very easy to modify. I needed some changes and support was great and fast. Keep the good job!" "This is an excellent component.If you want a digital library for your site,then this is the component for you.Has whole lot of all the required features and works beautifully.I had a few problems with the download options of ebooks after installing ,mostly caused by my own misconfiguration of settings in the backend. I asked for a solution on the Ordasoft support forums and within a few hours,the admin solved my problem. I'm really very thankful to the developers of this component for their excellent work in developing this component. This is my first review of any component at Joomla and i wish I would have given 50 stars to it.....Made an account on Joomla just to write this review for this wonderful component. Thanx a lot..Ordasoft." "I've been looking for 2 years for a great Amazon Associates component for Joomla. This is the one...... works perfectly and effortlessly. Very easy to set up, the pages it creates and displays are very attractive, and it works without a hiccup. Simply add the ISBN number from the book, and it does the rest. 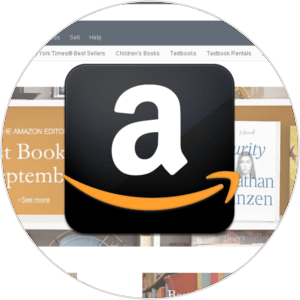 It imports the title, author, price, description, photo and more, and automatically creates a "buy" button keyed to your Amazon Associates account. This is simply elegant..... great job guys!" "I love this component. It is extremely easy to use once you figure out how to get your Amazon AWS key. That is no fault of their own that Amazon makes it so hard, but I recommend maybe including a link or instructions on where to get it. I had a problem where I couldn't get it to fetch information from Amazon. I knew that the problem was hosting related because it worked on another site with a different host. Nevertheless, Ordasoft gave me speedy and thorough support and got it working right. They could have been like many other component developers and told me to talk to my host, but I appreciate that they worked with me. I have not purchased the premium version,but I plan to as soon as its financially feasible. It's not that expensive of a component, though." Xmap plugin. Book Library Xmap plugin is plugin for Book Library Software that allows to add sitemap in your website. Xmap plugin fully comfortable with OSMap and mapX. Also, it works with Xmap. 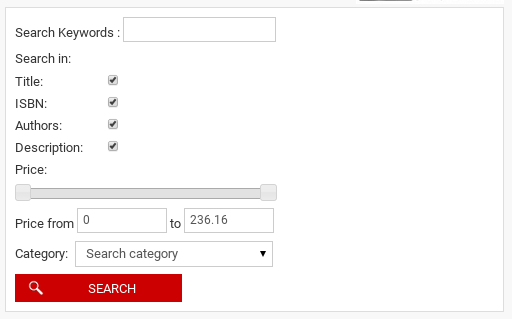 Search plugin for Book Library allows to connect default Joomla search with Book Library in your online library website. Users will be able to search books via default Joomla search. This plugin for Book Library Software allows to add link to books into content website. Plugin allows to show caption, photo and title. Changed access to category. Be careful, access to books from several categories is a sum of access to this categories! Dropdowns default to "All Books" and "All Categories"
26. How to use Language Manager? 29. Help, Book Library does not fetch my book descriptions! Beautifully designed responsive Joomla templates with integrated online library on the base of Book Library Joomla solution. 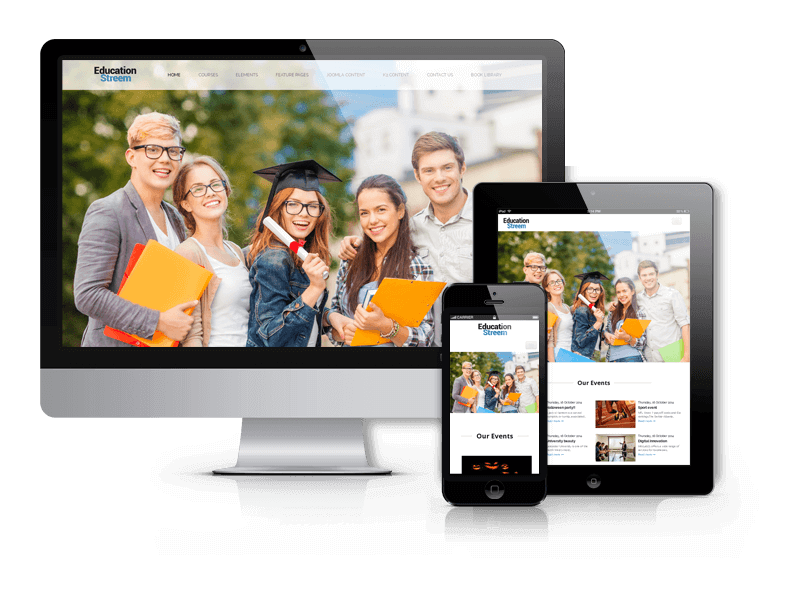 All book library themes come Bootstrap based, cross-browser compatible, with responsive layout and Quickstart package. Quickstart package will help you to install the same website as on the demo in minutes. After this you have to change the sample data, insert images and your public library website will be ready. 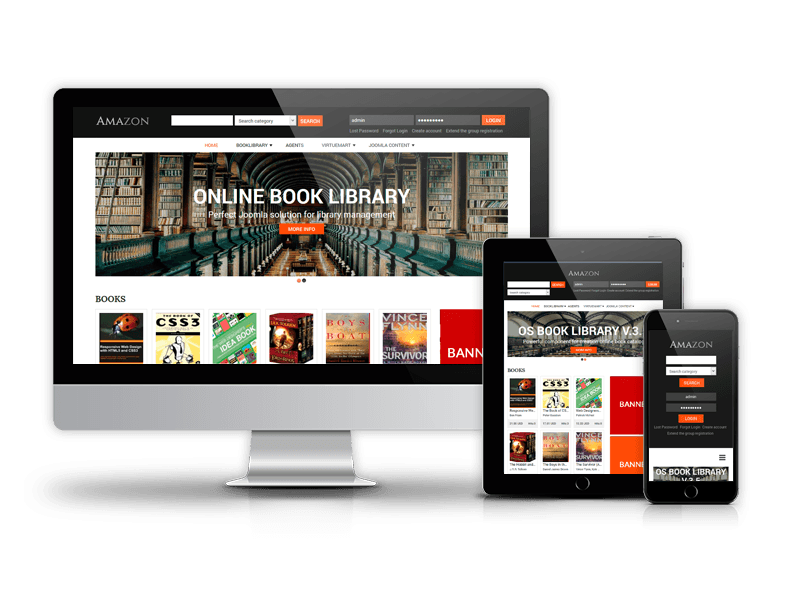 Choose your favourire online book library Joomla template and build digital library website in minutes.